The annual Lymm AC barbel fish-in was held last week on the club’s stretch of the River Severn at Atcham. 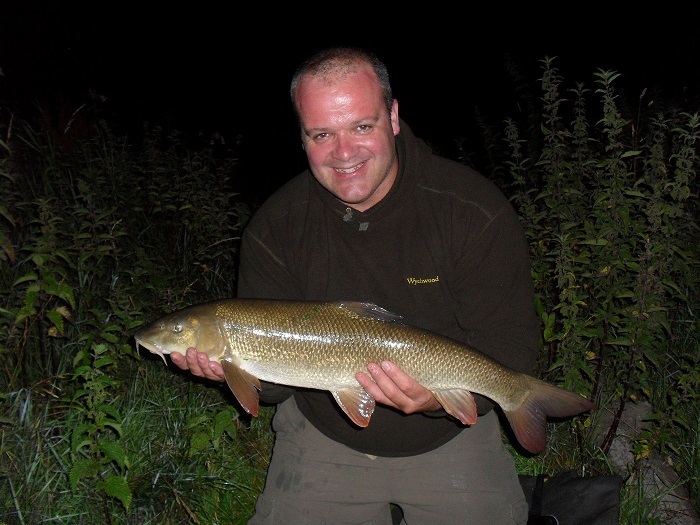 These sessions were started years ago by club legend Cliff Taylor, with the intention of introducing members to the wonderful world of barbel fishing. This year, credit goes to Phil Hatton and coaches Big Dave and Paul Edwards for sparing their time to organise the event and giving the anglers the best chance of landing a barbel. Paul has kindly put together this report..
‘Hi lads a brilliant day was had by all who attended the barbel fish-in on Saturday,extra credits go to Dean (denzil) who made it late, but after what he’d been through getting to Atcham other people would have turned round and gone home (what a trooper!! ).The day started off in the infamous raven for a healthy??? breakfast then on to Atcham where Big Dave, Phil H and me took the lads though the tackle and rigs that we use and most importantly the welfare and the safety of the fish and then the lads got split into two groups, some of the lads went into poachers and the rest went upstream into the next field where they started to put some bait into the areas they would be fishing. Me, Phil, and Dave spent the afernoon walking up and down the river showing the lads what to look for when fishing the river like features to look for like weedbeds, deep holes, creases etc. We carried on baiting up till about six o’clock then we all went back to the car park for a brew up and cake (it wouldn’t be a fish-in without cake) then we all went back to the rods for the serious bertie bashing. 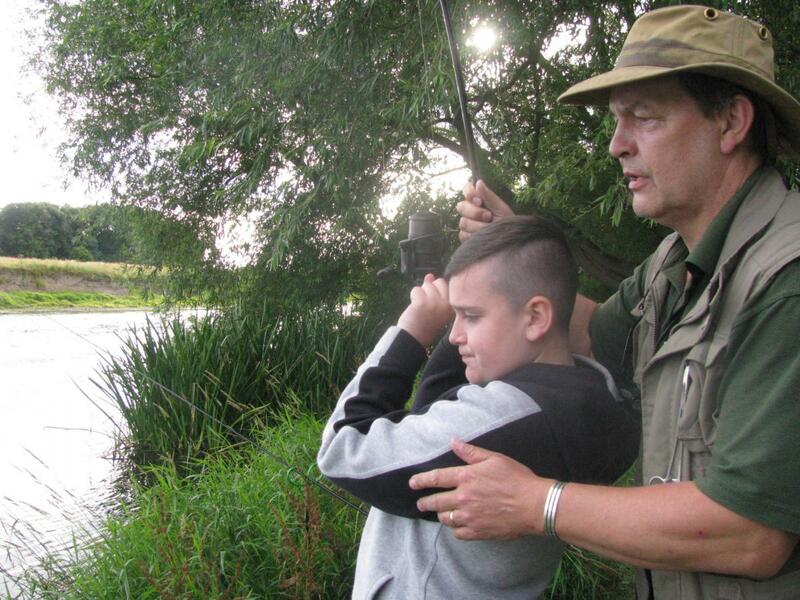 One of the young lads, Alfie,was half asleep in his chair when his rod stearted to twitch and then his baitrunner started to give out line, he was on to it quickly to strike into the fish and Phil H did a brilliant job in coaching Alfie on how to play a barbel. The look on his face when big Dave landed his first ever barbel was a picture, you couldn’t get the smile off his face, so we weighed the fish( 5lb 8oz) and i took some photos and the barbel was returned to the river and, no doubt, young Alfie will be giving his dad some earache about going fishing again. Yours truly was fishing in my favourite peg on the stretch, anyone who knows me will know where i’m talking about and within ten minutes of casting my rigs in the baited areas, the downstream rod was off, the baitrunner was screaming for mercy when i struck into the fish and as i was playing it the other rod started twitching and developed into a run on the baitrunner, luckily the fish that i was playing got stuck in a weedbed so i put the rod on the rest so the fish could free itself while i played the other barbel so i had two barbel in the net which happens very often at Atcham so because they were having it on my peg i went down to the others and asked if anyone wanted to sit in my peg for a few hours so they can get a few fish under their belt but no-one took me up on my offer. 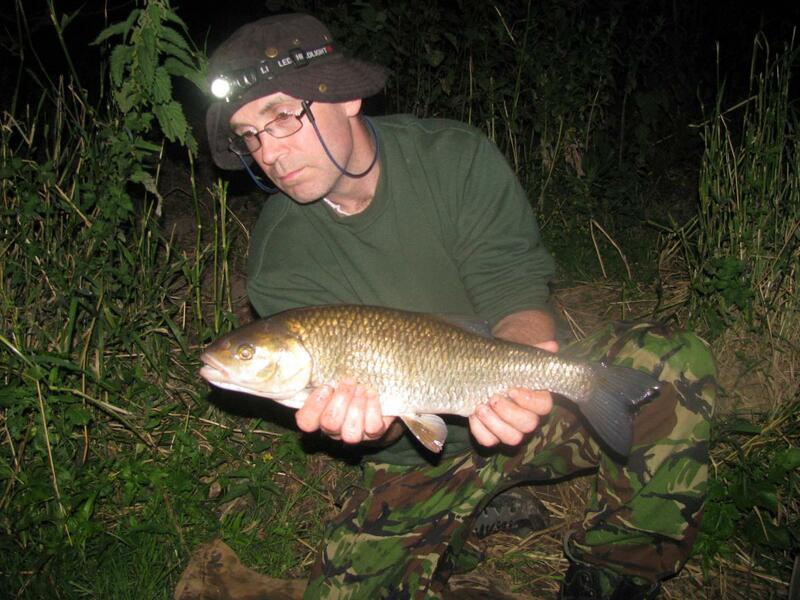 So it turned into a good night with, Denzil had two barbel. 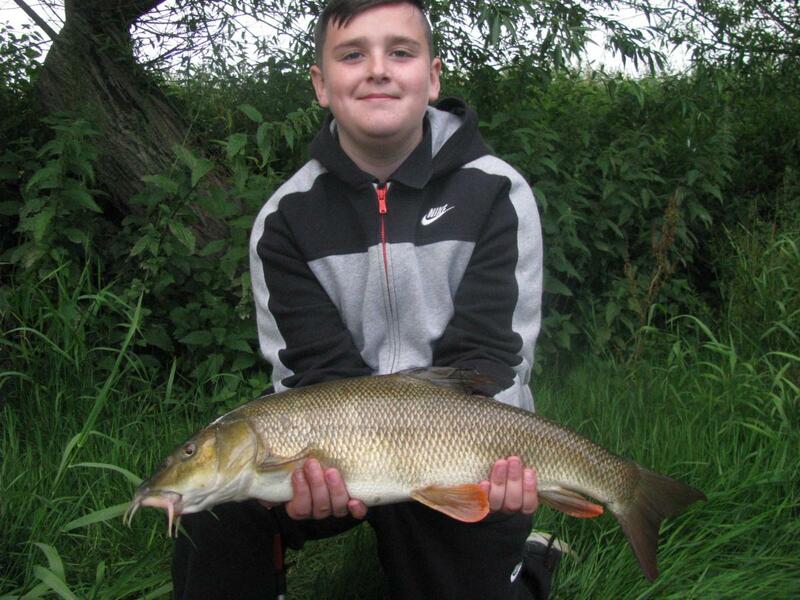 But the day belonged to Alfie…..congratulations and welcome to the river rats mate! Thanks Paul for an excellent report and well done to you, Phil and Dave for converting another batch of anglers to the River Rats! For more info on Lymm rivers, check out the website by following the link.. 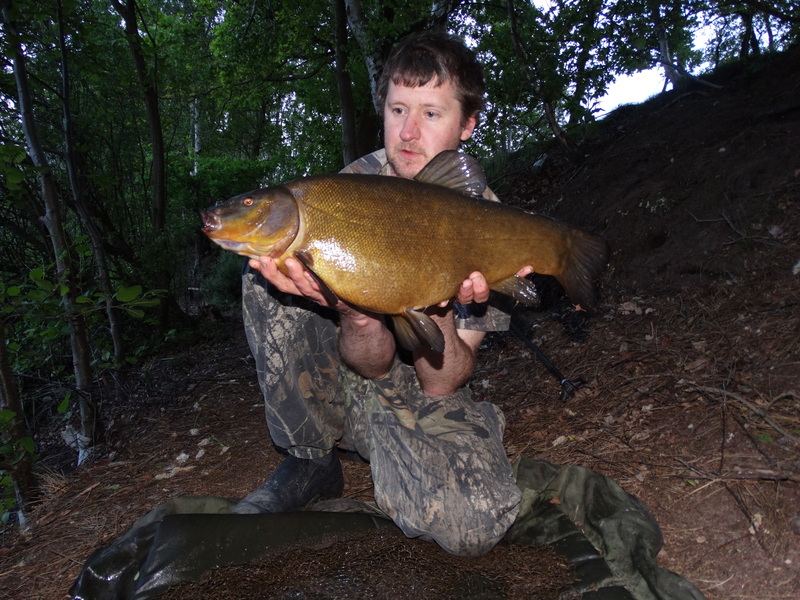 Ten pound tench from the Vale! 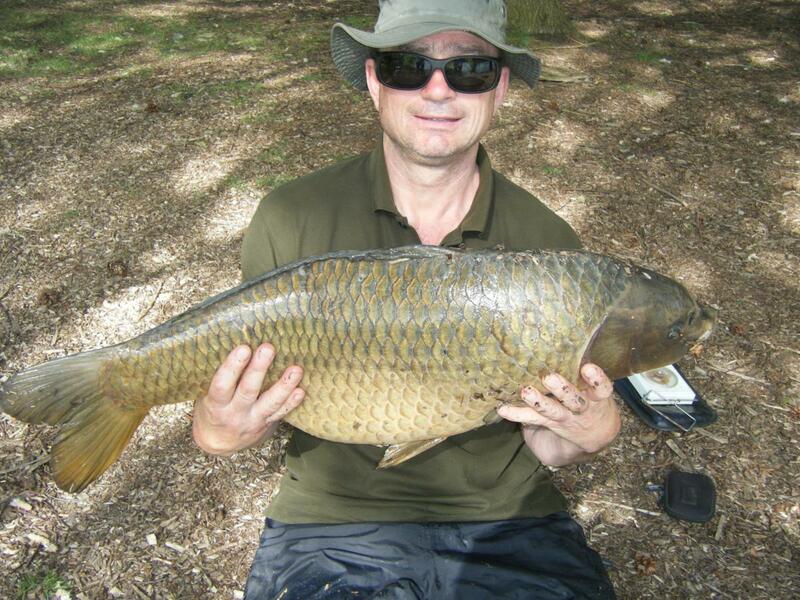 Which was joined by a 14lb common. But as Alex was packing up around midday, a huge tench picked up his Birch baits SO1 wafter, which was fished with a solid PVA bag just ten yards out. Well done Alex! A great session i’m sure you’ll agree. If you’re not already a member, click the link below to find out how to join us! ALL RIVERS closed due to extended hot weather. 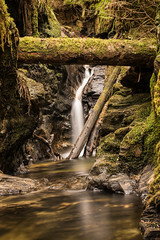 TO KEEP UPDATES AS ACCURATE AS POSSIBLE THE HOMEPAGE OF THE MAIN WEBSITE WILL BE USED TO INFORM MEMBERS ABOUT WATERS CLOSED, NEW WATERS AND WATERS NO LONGER AVAILABLE TO MEMBERS. ALL OTHER WATERS ARE CURRENTLY OPEN HOWEVER CHECK THE MATCH DATES HERE BEFORE TRAVELLING AND ALWAYS HAVE A BACKUP WATER IN MIND. Previous Closure Notices – Members can assume that all the waters below are now OPEN unless otherwise stated in red above!! 3rd October – Whitley pool has been closed until further notice. Low oxygen levels reported this morning saw a quick response from E.A and members. 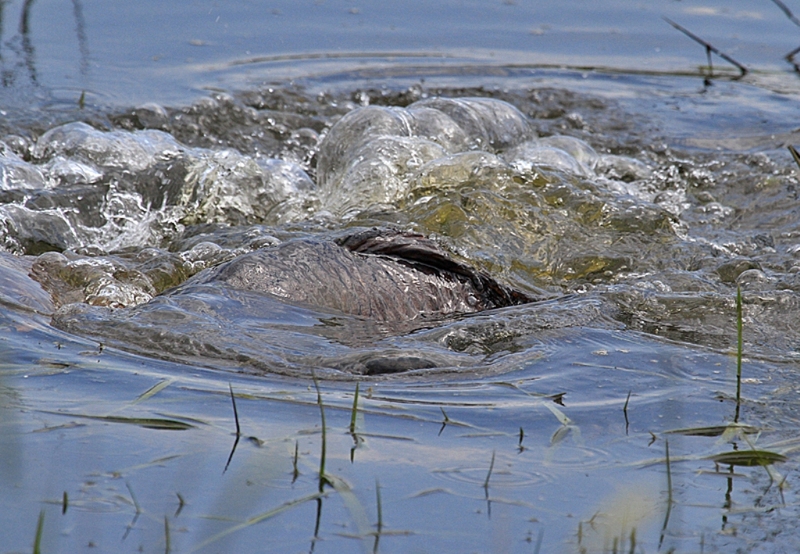 The matter is in hand and the water will be open as soon as possible…. but not before its ready!! The River Severn at Atcham/Wroxeter will be closed this Saturday 16th August from 14:00 for a Barbel coaching event. Slaters Pit has a surface weed that we are aware of and the Estates team are dealing with having cleared a significant amount today, the fish are not in any danger at present however if you fish the venue and find any fish in distress please contact the Head Water Keeper who’s contact number is in your membership book. The weed covering the pool is known as Azolla, this is a fast growing Non Native Invasive species and the smallest piece, transferred to other waters can cause major problems, as such we are asking ALL members who fish this water to ensure that ALL tackle, that comes into contact with the weed, is allowed to completely dry and is checked for particles of the weed BEFORE the tackle is used on any other water. Whilst the photo’s show that not all of the weed has been removed please be reassured that a close eye will be kept on it and further removals will take place. Unfortunately there is no way to completely eradicate this highly virilant weed……please don’t be responsible for our other waters becoming infested. Serpentine Pool is still closed. Work on the pegs had started but due to amount of rain we’ve had recently the ground is too soft to drive on and take the necessary materials to the area. The River Severn at Rossall Grange will be closed whilst the road leading down to it is repaired. 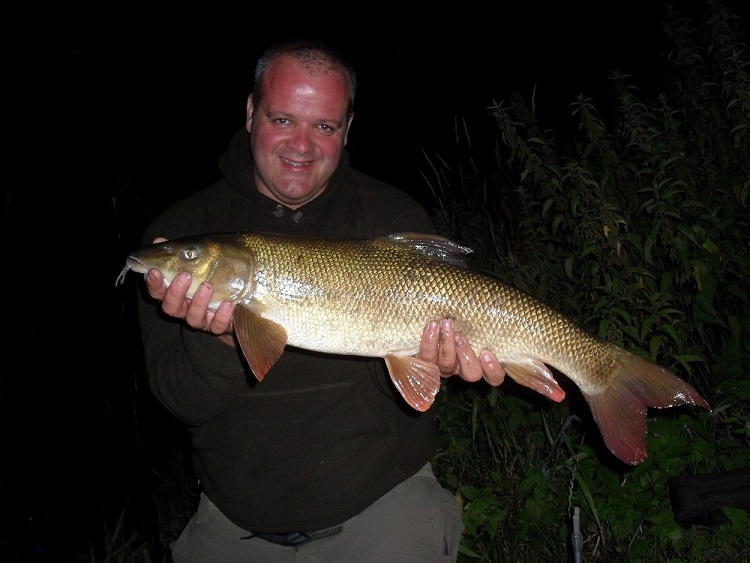 Members are reminded that the River Severn at Atcham will be closed from midnight on Friday 4th October for the Barbel Fish-in which takes place on Saturday 5th October. The venue will reopen at 6am on Sunday 6th. 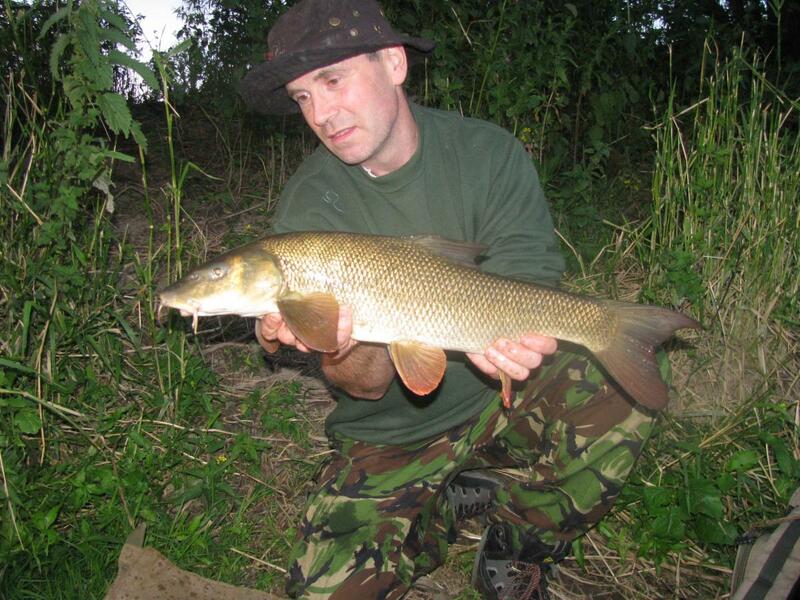 Members are reminded that the River Severn at Atcham will be closed from midnight on Friday 26th July for the Barbel Fish-in which takes place on Saturday 27th July. The venue will reopen at 6am on Sunday 28th. The club are pleased to announce that the River Bollin Tanyard Farm stretch has re-opened to members with immediate affect, a club lock has now been fitted to the main gate and members are reminded that this must be kept closed and locked at all times when entering or leaving the field. Parking has been agreed with the owner and members are allowed to drive down to the area before the road bridge when conditions allow but must not take their vehicles beyond this point at any time. Estates have completed the stiles today, big thank you to PJW and John for their hard work. 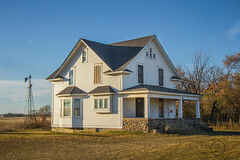 The owner has also requested that all members are informed that if they find the entry gate locked when they arrive then it must be locked when they’ve passed through it. The same goes for all the other gates…they must be closed once they have passed through them, thank you. The Wroxeter stretch of the River Severn will be closed to anglers until 6pm on Friday 12th July. 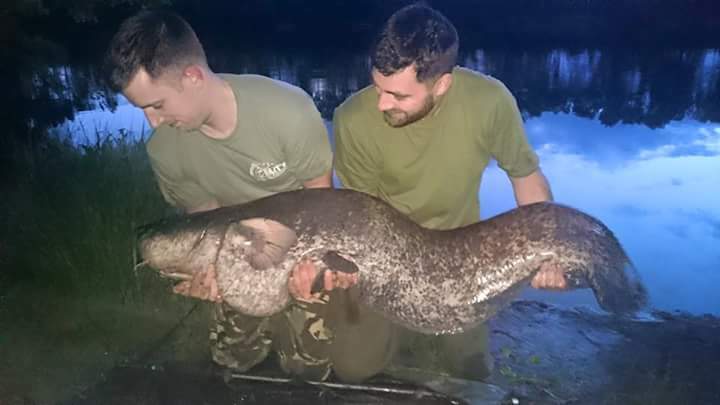 The fields to the left and right of the main car park will be open and have been producing barbel in numbers according to reports earlier tonight. 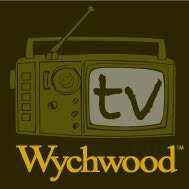 Also known as Poachers Field the length at Wroxeter will be host to Wychwood TV who are filming a river feature and looking to do battle with the local residents of barbel and chub who have gone to double figures in recent weeks, Lymm AC wish all concerned good luck and we look forward to seeing the production in the near future. The Estates team will be carrying out tree lopping & tidying the far bank at NEW POOL next week from Monday 8th July, please avoid fishing the far bank during this time, the rest of New and Spring Pool will remain OPEN to members. Thank you. It’s good news for Lymmvale regulars, the carp have finished spawning and the venue will re-open from 6pm on Friday 28th June. That means as of Friday 6pm all waters will be available to members and with the new season getting under way there’s never been a better time to hit the banks!! Chester Specimen Lake has re-opened from today however the carp in Lymmvale have started spawning this morning and therefore the Head Water keeper has closed Lymmvale. The Head Water Keeper is pleased to announce that the Belmont Estate and Founders will re-open from 6am on Saturday 15th June. Thank you for your patients during the closure and enjoy your fishing. 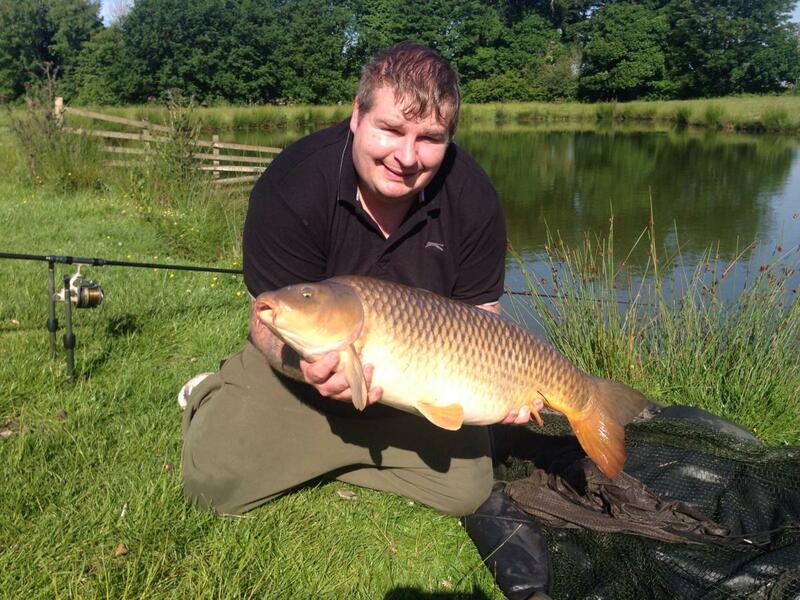 Chester Specimen Lake is closed as the carp have started spawning, thanks to Foggy for keeping an eye on the activity. 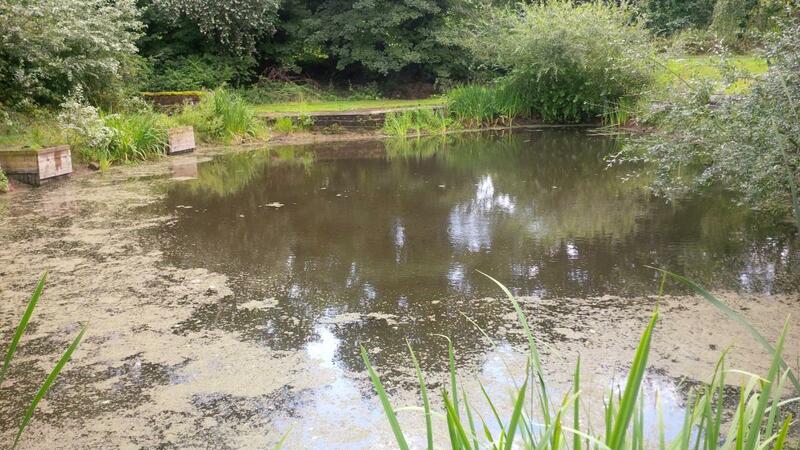 The Bailiffs will continue to monitor the water on a daily basis and we will announce to the members when it re-opens. Wrinehill Pool will re-open from 9am on Monday 10th June, thanks to all our members for being patient and monitoring the activity on a daily basis!! The Head Water Keeper will be assessing other waters and updates will be published as soon as we have them, tight lines for the new season. This post will be updated frequently to keep members informed on waters affected by the weather and any spawning activity. The Head Water Keeper John Stubbs will (along with the water keeping teams) provide the information about activity on each water. Only the waters listed below are affected at present so it’s reasonably safe to assume all other waters are open but you should always consult the specific waters notice board before starting fishing. 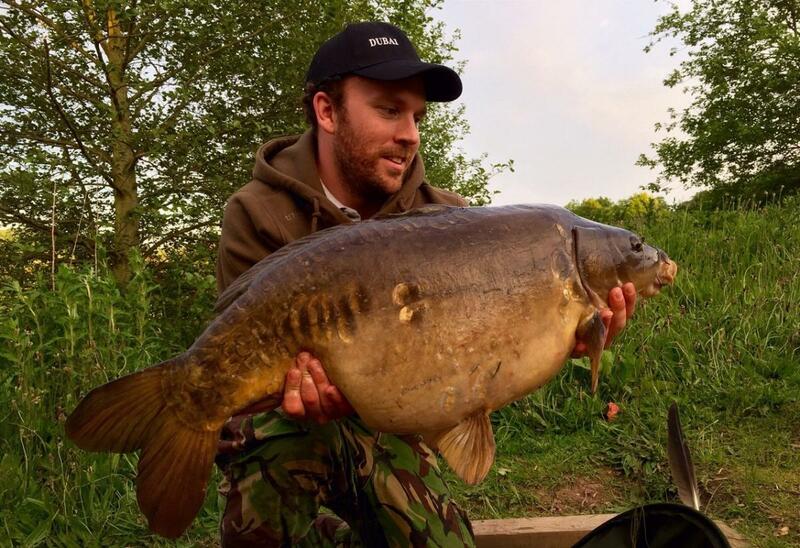 There are active posts on the subject on the forum at the moment but if you do have any information about spawning activity on our waters that would be useful for other members to know then please Contact Us. Follow this Blog for emailed notification of updates.